The current skilled labor shortage is one of the worst the industry has ever seen. Young talent is steered away from careers in construction and old talent is retiring. In this course you will learn how to attract, train, and retain the next generation of construction workers. 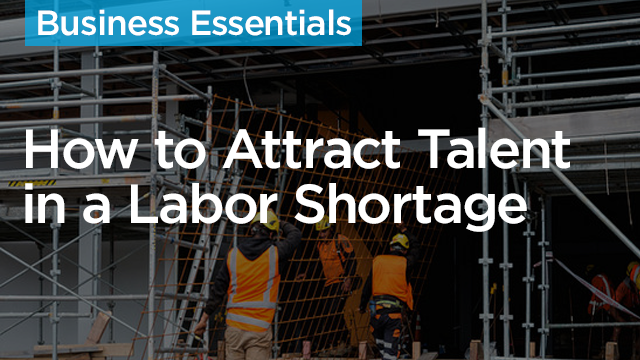 Understand the origins of the labor shortage and where construction labor stands today. Assess the future of labor in the industry and how your business may be impacted. Familiarize yourself with the next generation of construction workers: the Millenials. Learn techniques for attracting, training, and retaining top talent during a time when competition for skilled labor is steep.